Well, the Lollipop rollout to most major brands' flagships is almost complete – we are even looking forward to an Android 5.1 update. Out of the most famous players, only Sony is left to update its Xperia flagships to a UI built on the latest Android OS. In the last few days, we've seen more and more talks about Sony's planned Android 5.0 update. Firstly, we were treated to a video, demoing the new UI on an Xperia Z3 handset. Then, we got a confirmation by Sony that the update will only roll out to the Z series – no love for the E3, M2, M2 Aqua, C3, T3, or T2 Ultra. It was clear that the update is close at hand, but when, exactly? Well, today, we can feast our eyes upon a leaked image, which shows that an Android 5.0 Lollipop rollout is being prepped for launch in India, and should be coming to Xperia Z2, Z3, and Z3 Compact units. The source is not 100% confirmed, however, whether this one is true should become pretty clear in the following hours. And, of course, a launch in India means that the update should slowly roll out to other regions within the following weeks. Thanks for the tip, Naveen! Out of curiosity why does india get updates first? 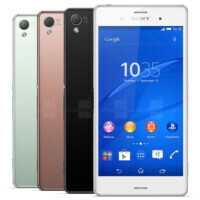 It's one of the strongest markets for Sony, outside Japan. Right India has always been one of Sony strong market. But with the rise of Chinese home made brand they'll need to be aggressive. Good start with a powerful mid ranger M4. exactly they don't have a large market share like in EUROPE OR U.S.
That Indian website source has a track record of lying about their "sources in R&D" centres to drum of as revenue. Surprising PA never verify the source before posting.